Refinishing is a tradition that all deck owners know well. Whether its pressure treated, cedar, redwood, pine, or any other type of softwood, usually every year in the spring time a proper cleaning and refinishing is necessary to restore its former beauty. Decks built out of wood look beautiful year in and year out because of the wood’s natural properties. Wood deck surfaces can be power washed or sanded to remove any surface debris without adverse effects to the core of each board. Take care when power washing to use a wide fan tip nozzle and make sure you hold the wand back far enough away from the deck boards. Once the boards are clean and dry, a stain or protective coat can be applied to keep wood looking wonderful another twelve months before the process starts again. In the case of our Brazilian hardwoods, it’s a little easier than that. If needed use a cleaner and brightener specific for hardwoods to clean excessive dirt and balance the pH of the wood. Once this step is completed, apply a coat of Ipe Oil to provide protection from the sun’s UV rays. This process is only necessary once per year depending on how much direct sunlight the deck gets, some home owners can get away with applying the oil to their deck every other year. Advances in technology created synthetic man-made materials that claim to be the latest and greatest materials to build decks with. Composites claim that their product has all the qualities of a durable, reliable material without any of maintenance that wood requires. As the years pass and composites begin to feel the test of time, a lot of products fail to uphold their promises. More and more homeowners turn to the internet to search for something that was supposed to be an oxymoron: composite deck refinishing. As their composite decking begins to fade or worse, suffer from delamination resulting in cracked and flaked surfaces, homeowners quickly find their composite decking needs refinishing with chemical products, resulting in a bigger hassle than refinishing regular pressure treated decking. The classic “all that glitters is not gold” proves once again that if it’s too good to be true, it probably is. 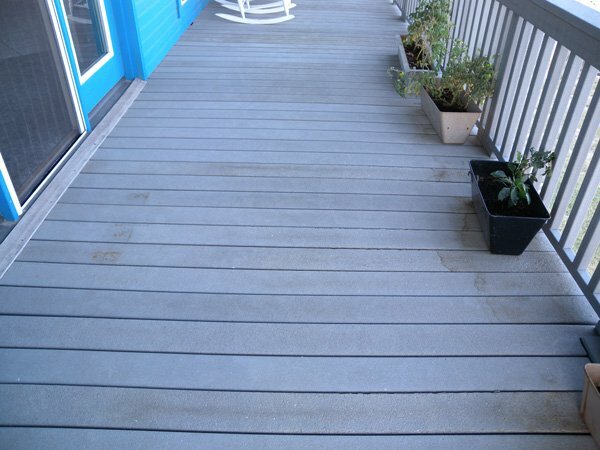 This entry was posted in Composite Decking, News and tagged composite deck refinishing, Composite Decking, composite fading, composite refinishing on April 6, 2015 by Mr. Ipe Hardwood. 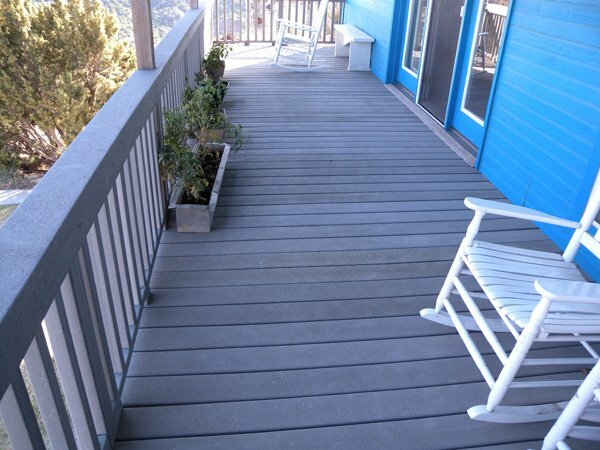 Unfortunately composite decking materials have to follow manufacturer guidelines. Each composite decking is made differently and while one brand may accept a refinishing product, another brand will reject it and cause more harm than good. If you contact the manufacturer of the specific composite they will be able to give you a list of approved refinishes and other products. There are also 3rd party manufacturers of products to refinish composite decks, but whether they will work on a specific brand is unknown.